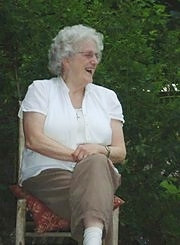 Kouria Cynthia Scott died of cancer at age 68 at her home in Wainfleet on Saturday, February 26. She is survived by her husband of 44 years, Fr. David Scott, pastor of St. Ignatius Mission, St. Catherine's, Ontario; by her son Raymond of Mindemoya and daughter Sarah MacGregor of Barrie; by her grandchildren William, James and Marjorie Scott, and Megan and Alexander MacGregor; by her sisters Joyce Ireland of Ottawa and Joan Patten of Wellesley Hills, MA; and by other nieces, nephews and cousins. Cynthia taught English at North Toronto Collegiate, Noranda High, Sudbury Ecole Secondaire, and St. Catharines Grantham High, and Special Education at Eden High School. She received a Volunteer Recognition award from the City of St. Catharines in 2004. She was a Member of St. Ignatius of Antioch Orthodox Church in St. Catharines. Visitation will be at Davidson Funeral Home, 135 Clarence St., Port Colborne, ON, Tuesday, March 1, 7:00-9:00 PM; Wed., March 2, 2:00-4:00 and 7:00-9:00 PM with Trisagion Prayers at 7:00 PM. The funeral service will be at Saints Cyril & Methodius Ukrainian Catholic Church, 14 Rolls (Niagara & QEW), St. Catharines, Thu., March 3, 11:00 AM, followed by interment at Morgan’s Point Cemetery, Wainfleet. Memorial donations may be made to St. Ignatius of Antioch Orthodox Church or to the Inter-Church Food Bank of Port Colborne & District or to the charity of your choice. MEMORY ETERNAL! 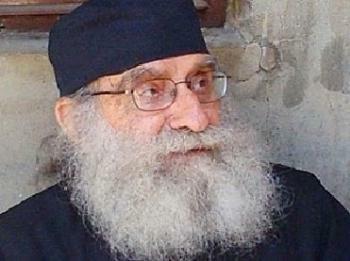 Your prayers are requested for the repose of Archimandrite Elias (Morcos) who reposed on February 23rd, 2011. Father Elias - founder, retired abbot, and spiritual father of the Monastery of the Holy Greatmartyr George in the village of Deir el-Harf, Lebanon - was one of a mere handful of persons who inaugurated the renaissance of authentic monasticism throughout the Patriarchate of Antioch beginning in the 1940s. Father Elias translated into Arabic many books on the spiritual life, including The Ladder of St John Climacos, The Triads of St. Gregory Palamas, and The Fundamentals of the Spiritual Life, and he authored several soul-profiting works such as Christian Worship, In Order to Understand the Liturgy and to Live It, and Thoughts on the Bible, and others. May he be granted Paradise, and may you be granted long life! MEMORY ETERNAL! Benny R. Homsey, 91 of St. Elijah Church in Oklahoma City, OK, a senior honorary member of the Archdiocesan Board of Trustees, reposed this past Sunday, February 20th. Trisagion Prayers of Mercy were held on the evening of February 22nd. The Funeral is scheduled for February 23rd. Condolences may be sent to his wife Dolores and the Homsey family c/o stelijah@stelijahokc.com. May he be granted Paradise, and may you be granted long life. The handmaiden of God Shamseh Dalack departed this life in the early hours of the morning of February 3, 2011 following a prolonged illness. Shamseh was a Dame Commander of the Order of St. Ignatius and was one of the founding officers of Antiochian Women, as well as the wife of Archdiocesan Trustee Dr. John Dalack and mother of Dr. Gregory Dalack and Khouriya Laila Ellias of St. Mary Church in Brooklyn, NY. The viewing will be held at McLaughlin's Funeral Home on Third Avenue and 97th Street in Bay Ridge, Brooklyn, NY from 2-5 p.m. and 7-9 p.m. on Sunday Feb. 6, 2011. The funeral will be at 10:00 AM on Monday Feb. 7, 2011 at St. Mary Antiochian Orthodox Church located at 192 81st Street in Brooklyn, NY. Memory Eternal! Khouriya Barbara Dunaway, 75, wife of Fr. Harold, retired from St. John Cathedral in Eagle River, AK, and mother of Khouriya Luanne Barr of St. Elias in Austin, TX, Fr. Marc of Eagle River, AK and Fr. Michael of Goldendale, WA, reposed late last night, January 25th, in hospital in Seattle, WA where she had been airlifted from Anchorage, AK. Funeral arrangements are incomplete at this time. Please join me in praying a rope for the repose of Khouriya Barbara's soul, saying, "O Lord Jesus Christ, grant rest to the soul of Thy departed servant." May God grant her Paradise, and may He grant you long life. 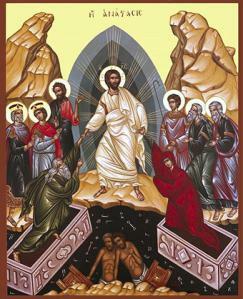 The schedule of divine services is as follows: Tuesday, February 1st: 6:15PM - Vesperal Divine Liturgy for the Feast of the Meeting of the Lord, followed by Trisagion Prayers for the Departed. Wednesday, February 2nd, the Feast of the Meeting of the Lord: 11:15AM - Arrival of her body at the Cathedral, followed by the Trisagion Prayers for the Departed. 11:30AM - 3:15PM - Visitation and Reading of Psalms. 3:15PM - Funeral Service, Procession to Cemetery, followed immediately by a Meal of Mercy in the Cathedral's fellowship hall. MEMORY ETERNAL! The child of God Lucia Camille Baba, five month old daughter of Father Anthony & Khouriya Ramia of St Anthony Church in Spring, TX, reposed late last evening of complications arising from Trisomy 18 (also known as Trisomy E or Edwards syndrome). The Funeral for a Child will be served tomorrow morning, December 24th, at 11:00 AM at St. George Church in Houston, TX. 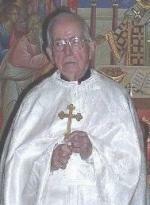 Condolences may be sent to Father Anthony and Khouriya Ramia at franthonybaba@gmail.com. Please join me in praying a rope for the repose of Lucia's soul, saying, "O Lord Jesus Christ, receive in peace the soul of Thy child Lucia." May God grant Paradise to Lucia and consolation to her parents, grandparents and all the Baba and Ibrahim families. Donations in Lucia’s memory may be made to St. Anthony Church in Spring, Texas, for the iconography in the new church temple. To read about Lucia's life, go here. MEMORY ETERNAL! Abraham "Bus" Bayouth, 94, of Skiatook, Oklahoma, father of A.B. Bayouth, vice president of DOWAMA's Fellowship of St. John and tireless supporter of Camp Saint Raphael, fell asleep in Christ this past Monday, December 13th, 2010. The Trisagion Prayers of Mercy will be chanted for the repose of his soul on December 15 at seven o'clock at St. Antony Church in Tulsa, Oklahoma and the funeral will be served on December 16 at two o'clock at the Skiatook High School Activity Center. Condolences to his wife Mrs. Abraham (Su'ad) Bayouth and their three sons A.B., Gary and Gregory. Please join me in praying a rope for the repose of his soul, saying, "O Lord Jesus Christ, grant rest to the soul of Thy departed servant." May he be granted Paradise, and may you be granted long life. It is with great regret and extreme sadness that I announce to you the passing of our dear sister in Christ Mary Helen Massad. She fell asleep in the Lord tonight at 6:30. Mary had "suffered many things of many physicians" as we hear in Scripture, and is now committed to the mercy of her Lord and Savior Jesus Christ, whom she loved most of all. Mary was an example of the Christian woman, and her love and faith have brought joy and peace to so many whose lives hers touched. May her memory be eternal, and may the Lord place her soul where the just repose. All Services except for the Burial will be held at our church. Friday, October 22nd, Trisagion Service at 6 PM, followed by viewing until 9 PM. Saturday, October 23rd, Funeral Service at 1 PM, followed by a procession to the burial site for the Burial Service at Restland in Coppell, 400 S. Freeport Parkway, 75019. Following the Burial, we will return to the church for the Mercy Meal. The Family has requested that in lieu of flowers, donations should be made to and/or sent to Saints Constantine & Helen Orthodox Church, 3755 Walnut Hill Lane, Dallas, TX 75229, and earmarked "Mary Helen Massad Memorial Fund." Father Donald David Lloyd, 1912-2010At 12:20 a.m. on Sunday, October 17th, word was received that the eldest brother in the Diocese of Wichita, Father Donald David Wallace Lloyd, D.D., reposed at the age of ninety-seven. The casket with Father Donald David will arrive at St. Mark Church in Denver, CO on Thursday, October 21st at 5:00 p.m., where he will lie in state until after the Requiem Mass which will be served at 7:00 p.m. He will then be taken to the St. Laurence Center in Tallahassee Creek, CO where, upon arrival, a brief low Mass of Requiem will be served followed by interment in the specially-prepared sepulchre just west of the Basilica of St Laurence. Then, this Saturday, October 23rd, the final Requiem Mass will be served at the Center at 11:00 a.m.. Condolences may be sent c/o Father John Connely (john.connely@gmail.com) of St. Mark Church in Denver. Following his Chrismation and Ordination, Father Donald David Wallace Lloyd, D.D. told me very sincerely that never in his life had he felt so uplifted, blessed, (he used a vocabulary to explain this that I cannot entirely remember), and that his joy was beyond anything of merely earthly happiness. He was delivered from all the sorrow of 93 years (the age at which he received into Holy Orthodoxy) and then continued his earthly life as the most powerful intercessor that I have ever known. If your retired Priests want to see Paradise, let them follow this example. Father Donald was given names for prayer in restaurants and everywhere we traveled. He normally rose at 5.00 o'clock so to complete his Morning Prayers by 8:00 o'clock given his lists of living and departed souls. Nabiha Ghareeb recently fell asleep in the Lord at the age of 90. She is survived by her children, Issam (Carol), Michel (Gail), Nouhad (Fr. George) Shalhoub, George (Nabelah) and Elias, as well as 10 grandchildren, 12 great grandchildren, sisters, Marie Ghareeb, Samia Ghareeb, Ivonne (Michel) Mouaikel of Aita Lebanon, Anne (Gary) Beak, brother, Elias Ghareeb of Lebanon, many nieces and nephews. Nabiha will lie-in-state at St. George Cathedral, 3754 Woodley Rd. in Toledo on Wednesday, October 13th from 5:30-8:30pm. The Trisagion Prayer Service will begin at 8pm. On Thursday, October 14th, Nabiha will lie-in-state at St. George Cathedral from 10-11am. The Funeral Liturgy will begin at 11am. To submit a remembrance for this page, please e-mail the notice to editor@antiochian.org. Submissions may be accompanied by a picture in JPEG format. For further submission guidelines, please visit our FAQ page.